CBD just stand for cannabidiol which is one out of over a hundred strains of cannabinoids. Cannabinoids are pretty much just chemical compounds that share the same structure, the same derivatives as THC, marijuana. CBD is one of them but it is arguably the most important and most practical. And that is why people started using it for vaping. It is amazing because, like we said, it has the same chemical derivatives as THC but it doesn’t have all of it. So, what this means is that on the scientific level we can get the health benefits from marijuana without the high. CBD is not psychoactive. You do not get high from it. If you use this, you won’t have any problem with any tests that are used in sports or for a job application. It is legal which means you can get your own kit with CBD oil from your store. When we take CBD it binds with receptors in our body, and the receptors aren’t just in the mind but are also in the body. The number one benefit is that it is a natural painkiller. It is amazing for helping us deal with chronic pain and painful issues with the body. It also affects and connects to the cannabinoid receptors in the brain. So, what this means is that it also works for curing anxiety and depression. The most interesting benefit, and the one that popularized cannabidiol that much, is that it is non-addictive. The World Health Organization itself ran a study and agreed that CBD is absolutely not addictive in any way. There are a lot of other benefits of taking CBD. The vape oil is usually called eliquid or juice and it is in a base of propylene glycol or vegetable glycerin. Those are abbreviated PG and VG, so PG is for propylene glycol and VG is for vegetable glycerin. What you want to keep in mind is that propylene glycol can be toxic when it is heated. So, you should avoid that and always look for that on the label because sometimes it comes in a blend of PG and VG. You want to avoid the PG, stick to VG, it is not toxic and it’s been shown when compared to PG to be a lot better for your health. 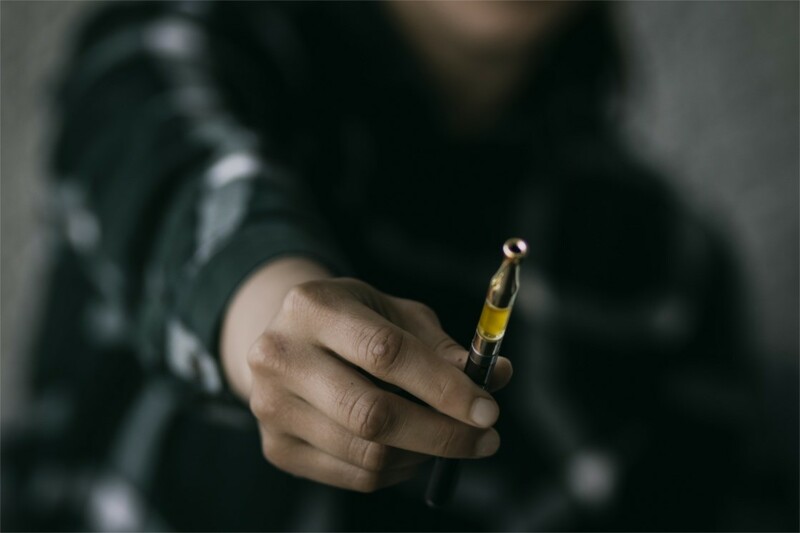 Another thing about vaping CBD is a lot of vape juices are just a cannabidiol isolate, so they don’t have the terpenes and the other beneficial compounds that give you the entourage effect. There might be exceptions to that, but most of them work in that way. Read more on this page. When you are shopping for CBD vape liquid you want to avoid artificial flavorings. So, when you are looking at the ingredient list make sure you are avoiding flavoring and propylene glycol. You want to look for something that is purely clean and doesn’t have additives. 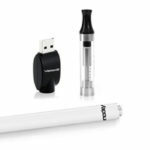 The option you can use for vaping CBD is by vape shot kit. It comes in a case with USB charger, battery, and a cartridge. These cartridges are disposable, you don’t save them. They are not refillable. It is very strong, 250 milligrams, it can last from 250 to 300 vape puffs. 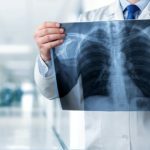 Everyone is concerned about the safety of e-cigarettes and inhaling chemicals, but the best evidence we have is that none of the cannabinoids cause any significant injury to the lung or to the body. And that is also true for the vegetable glycerin. The goal of the technique is to absorb all the available cannabinoids as effectively and efficiently as possible to get the maximum benefit. To do that we want to inhale and hold the breath long enough to minimize the amount of vapor that we actually exhale. We want to absorb as much of the CBD as possible into our body. To do this you have to press and activate the button on the device and inhale through the mouthpiece until it is comfortable about four seconds, and then fill your lungs with air through the mouth. Hold that breath for about ten seconds or whatever comfort level is okay for you and then exhale normally. Wait a few moments or minutes and repeat that process. So, most users find that four to eight inhalations are sufficient for them to get the benefits almost immediately. Since there is no toxic level known, it is okay to use the device as often as needed. If you are starting out on your CBD journey, what is recommended is to take just 10 milligrams of it a day. What you can do is, after seven days of taking 10 milligrams a day, if you feel it necessary you can double it. After that week you can also double it and it won’t harm you. So because it isn’t harmful, but too much of anything is, the maximum daily amount people recommend is 200mg. There have been clinical trials whereby they have tested 1500mg on patients that have illnesses. If you are just into CBD, the fastest way for it to take effect is by inhaling. The effect is almost instantly. The longer the puff, the fewer puffs you need to take. Obviously, if you inhale longer you are getting more CBD than if you do a quick short puff, but they all work. You also don’t need to inhale it into your lungs, you can but you don’t have to. It absorbs into your mouth. There are very few side effects. In some studies, a small group of people has experienced things like lightheadedness, drowsiness, dry mouth and diarrhea. The one that is the most important to know is that CBD can inhibit hepatic drug metabolism. So, if you are using medication it is just best to check with your doctor to make sure that CBD is not going to have any effect on the medication you are taking.